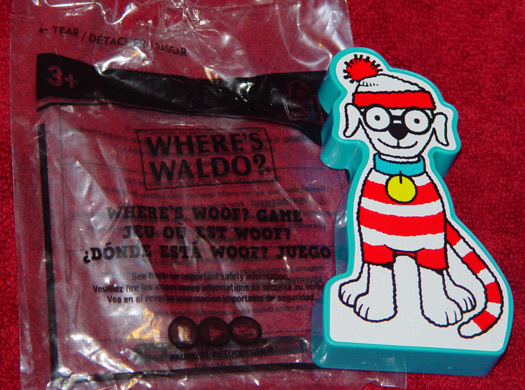 October 11, 2012 - The boy collected only a single fast food toy this past month, a Where's Waldo toy from Wendy's. With that painfully uninteresting narrative out of the way, let's see what's out there in restaurants this month! 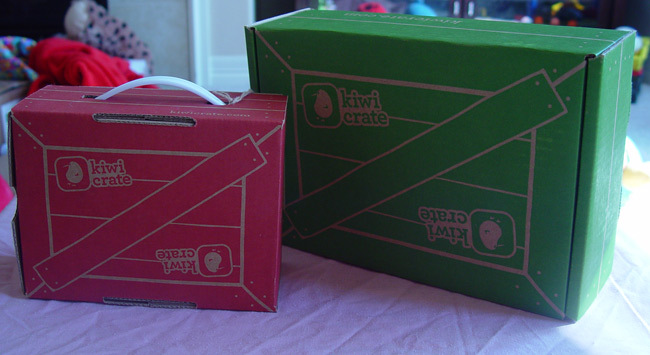 - Wendy's Kids Meals have Animal Planet toys, with a "Toys'R'Us Holiday Surprize" coming soon. - McDonald's has Hotel Transylvania in their Happy Meals, with Scooby-Doo Halloween Pails shown as the next promotion. - Sonic is oddly devoid of details, listing only "Wacky Pack Toys" when you click on the "Wacky Pack Toys" link to see what the toys are this time. September 2012 - Our local Toys'R'Us restocked their K'NEX Angry Birds section, and the boy had stars in his eyes when he saw the $190 worth of new sets. Sadly for him, he has cheap parents, so despite the "buy one, get one 40% off" sale, we quickly zoned in on the $3.99 blind bag figures instead of the larger sets. 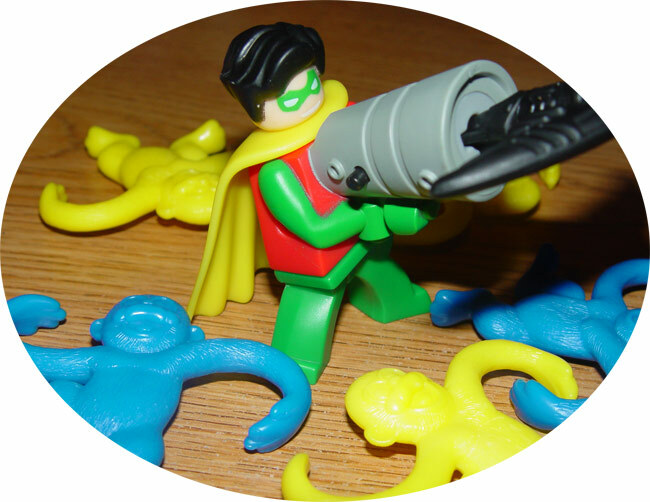 The K'NEX web site shows that the blind bags ("Mystery Figures") are exclusive to Toys'R'Us. 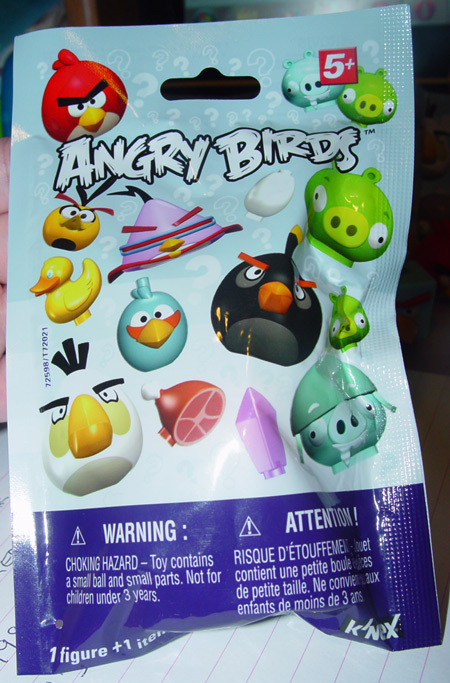 We had really good luck using the cheat codes for the Mario Kart K'NEX blind bag figures, so we were happy to see a similar code on the back of the Angry Birds bags. 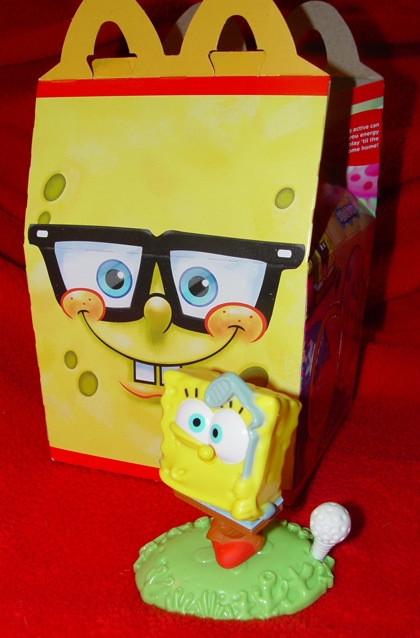 September 6, 2012 - The boy scored just one additional McDonald's SpongeBob SquarePants toy last month. Don't feel bad for him, though, as he hit the jackpot in the form of the K'NEX Angry Birds sets during a trip to Toys'R'Us. So he's getting new toys... he's just not eating fast food to "earn" them. - Wendy's Kids Meals have Where's Waldo toys, with Animal Planet items coming soon. - McDonald's has Power Rangers Super Samurai and "Hello. I'm Julius!" 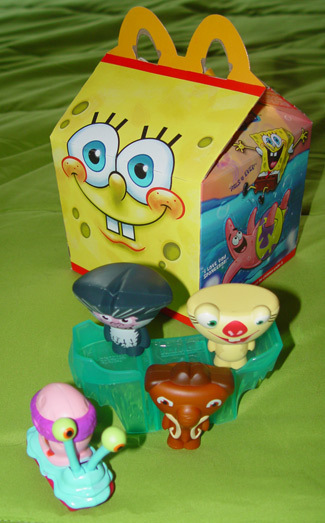 (by Paul Frank) in their Happy Meals, with Hotel Transylvania shown as the next promotion. - Subway Kids Meals have reusable lunch sacks. 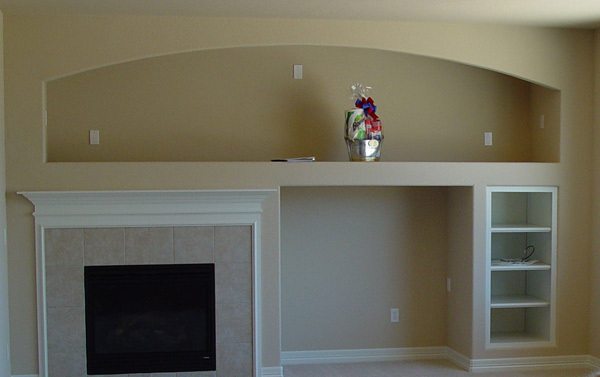 The sacks now feature Frankenweenie. August 5, 2012 - The boy saw a McDonald's commercial last month and decided that he needed the Ice Age toys, even though he's never actually sat all the way through any of the Ice Age movies. The service at our closest McDonald's is less than stellar, so after getting him one toy there, I bought a set via eBay and thought that was the end of it, but he convinced his grandparents to take him to McDonald's two more times. Lots of Ice Age toys in our house now - I can't complain, because the toys are actually quite nice. The new promo at McDonald's is SpongeBob SquarePants, which the boy again learned about from a commercial, so we stopped on the way to the Bronco's Saturday Scrimmage, and he got a cute Gary toy. You push it along a flat surface and his eye stalks move.